About 100 students from three primary schools in the province of Cakaudrove started their school holidays on a high note after visiting Parliament for the first time this morning. 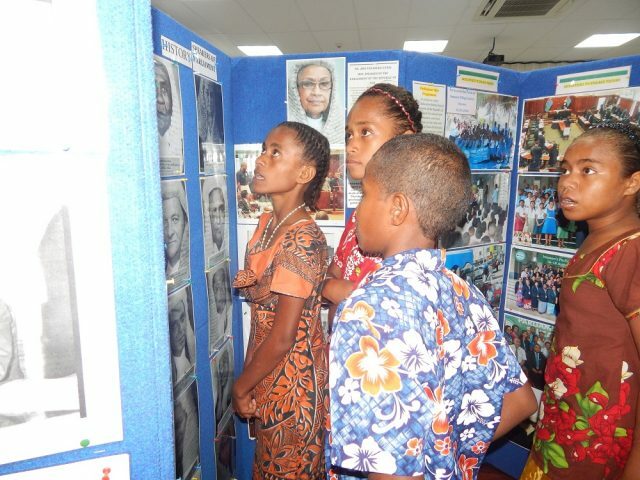 The students from Vunilagi Primary School in Savusavu, Naselesele Primary School and Navakawau Catholic School from the Garden Island of Fiji shared sentiments of happiness and joy while touring Parliament as the trip was a much-awaited one. Navakawau Catholic School head teacher Onisimo Rasuwaki said they left Taveuni yesterday via sea transportation in the hope of touring parts of Viti Levu, including Parliament. “It has been a successful day so far and our children are enjoying every bit of it,” Mr Rasuwaki said. “Most of these children are visiting Viti Levu for the first time and to be here in Parliament is history in the making for them. We are indeed privileged to be here. Vunilagi Primary School head teacher Kaliti Naika echoed similar sentiments, saying the students were indeed blessed to have visited Parliament. “We started our tour in the West and to be here today, we count ourselves lucky because this is a rare opportunity,” she said. Amoreena Tikoilawaqa of Naselesele Primary School also said they were so delighted to be given the opportunity to visit Parliament.